Dubai: An Indian girl in Dubai on Tuesday won $1 million, six years after she won a Dh1.2m luxury car. 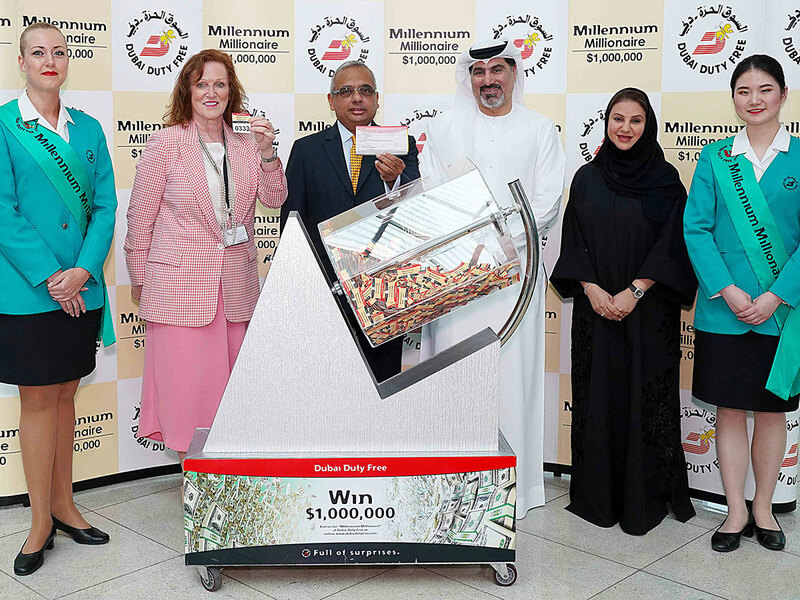 But her father will keep the “million-dollar secret” from his daughter until the weekend, he said hours after her name, Eliza M., was picked up in a Dubai Duty Free (DDF) Millennium Millionaire draw. If I can wait for 15 years for this day, they can wait for a couple of more days. The father of the 9-year old, a grade four student in a Dubai school, believes his family can wait for the big surprise to be revealed over the weekend unless they happen to find it out through news reports, in which he would not divulge his name. “I have been buying these tickets for 15 years. I have spent about Dh300 to Dh400 thousand dirhams so far. If I can wait for 15 years for this day, they can wait for a couple of more days,” said the father who identified himself as N.M. He told Gulf News that he believes in “evil eye” and does not wish “unwarranted people” to contact him asking for money. N.M. said he has been buying the tickets alternately in the names of Eliza and his other daughter who is a year younger. “They don’t check the news. They get to know if we won or not from my face. I am good at hiding my emotions. Anyway, I am normal now, after the initial excitement,” he told Gulf News. With nine as his lucky number, he had bought ticket No. 0333 online under Eliza’s name for the promotion’s series 298. She became the 140th Indian national to win a million dollars in the promotion since its inception in 1999. N.M. had then sold the supercar with a showroom price of Dh1.2million for Dh800,000 and used it for clearing his debts. However, this time, he had promised Eliza he would take her on a Europe trip if she won. “I will do it when they have their next vacation,” he said. N.M says he plans to save the rest of the amount for his daughters’ future and will not stop trying his luck again. He said despite his big win, he would continue to work in the same company where he is a commercial manager.